Your job candidate may see your notice that you are going to do a background check very differently than you see it. To the applicant, a “background check” might seem like someone is sleuthing out every small indiscretion or accident to find ways to reject them. And, of course, background checks are sometimes used to reject applicants. But the truth is, many employers view employment screening as a way to find the right candidates to hire, not to find people they want to reject. By the time the hiring process hits the background check stage, considerable effort and expense has already been invested. The last thing employers want is to do research on unqualified candidates. Employers can actually use the background check to educate unsuccessful candidates about how they compare to their peers in the job market. Candidates can learn from an honest report about how they are lacking skills or experience for the job they sought. In the adverse selection notification, these candidates may also find out about how their personal history is inaccurate or incomplete and get a chance to correct it. Savvy employers will tailor background screening to the job/role in question so that they find just the skills and experience they need, and mitigate the risks inherent in the role at the same time. For highly routine and unskilled work, a more limited background check is needed than for a role that exercises authority, manages programs, or has direct access to financial assets. More generally, the resulting screening process for each role contributes to the risk management function of the organization. Designing background screening to match job characteristics has the added benefit of compliance with employment law, such as how to use criminal background checks. In this case, the screening process is consistent with government guidelines (such as the EEOC) that emphasize that screening should be “job-related and a business necessity” with respect to criminal background. Finally, employers with effective screening programs generally rely on a qualified consumer reporting agency (like Proforma). These agencies are fully informed about how consumer reports may be used legally, and their obligation to seek only accurate information helps to ensure that the employer is treating the applicant fairly and within the limits of the law. One thing successful employers will NOT do is rely on do-it-yourself Internet searches or budget-driven “instant” background checks when there are significant risks in the job in question. 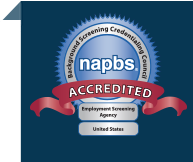 Employers can derive many positive benefits from well-designed background screening processes. Playing “gotcha” with applicants is simply not one of them.